Let the experienced Gatas Team help guide you in the home selling process and get the most return for your current investment. Our expert real estate agency team will help guide you to get the most out of your real estate investment. What are similar homes going for in the neighborhood? Do some online research about what homes have sold for in the past couple of years and perhaps more importantly, when they’ve sold. You may find that your neighborhood has a flurry of sales activity in spring or summer, which could affect your decision of when to hang up the “For Sale” sign. Get more tips on researching comps. If a similar home on your street just sold for $500,000, by selling yourself you have the luxury of offering yours at the bargain price of $485,000. You could get a quicker sale and come out of it with more money than your neighbor who had to pay real estate commissions to the selling and buying agents. Get more tips on pricing your home. Here’s where it can get tough. A good real estate agent is skilled at targeting buyers and getting them to see your house, whereas you’re learning from scratch. Start with a professionally printed sign in the yard, designed to catch the eye of neighborhood hunters, then go through the following list to get your property noticed. You may not be able to crack the Sunday real estate section of your local newspaper, but you can create a nice, free ad with pictures on Craigslist or publicize your home on Web sites that cater to FSBOs. Post ads with pictures on public bulletin boards at grocery stores, gyms and workplaces. As you probably know, loans are tougher to get nowadays and a pre-qualified buyer is golden in the market. They know just how much of a mortgage they can acquire and they’re serious about buying, they’re not there to snoop around your closets and pantry. Let local mortgage brokers know about your place and ask for referrals from their pre-qualified clients. They may be eager to help, since the sooner you sell, the sooner you’ll become their client. Here’s where it’s best to let emotions about the property go. At this point, you’re selling a house, not your “home.” If you get an offer that you feel is way too low, don’t get bent out of shape and slam the phone down. Take a deep breath and counter. Most of us dream of improving our lifestyle and moving to a larger home. The problem is that there’s sometimes a discrepancy between our hearts and our bank accounts. You drive by a home that you fall in love with only to find that it’s already sold or that it’s more than what you are willing to pay. Most homeowners get caught in this hit or miss strategy of house hunting when there’s a much easier way of going about the process. For example, find out if your agent offers a Buyer Profile System or House-hunting Service, which takes the guesswork away and helps to put you in the home of your dreams. This type of program will cross-match your criteria with ALL available homes on the market and supply you with printed information on an on-going basis. A program like this helps homeowners take off their rose-colored glasses and move into the home of their dreams in an affordable way. You should plan to sell before you buy. This way you will not find yourself at a disadvantage at the negotiating table, feeling pressured to accept an offer that is below-market value because you have to meet a purchase deadline. If you’ve already sold your home, you can buy your next one with no strings attached. If you do get a tempting offer on your home but haven’t made significant headway on finding your next home, you might want to put in a contingency clause in the sale contract which gives you a reasonable time to find a home to buy. If the market is slow and you find your home is not selling as quickly as you anticipated, another option could be renting your home and putting it up on the market later – particularly if you are selling a smaller, starter home. You’ll have to investigate the tax rules if you choose this latter option. Better still, find a way to eliminate this situation altogether by getting your agent to guarantee the sale of your present home (see point number 5 below). Pre-approval is a very simple process that many homeowners fail to take advantage of. While it doesn’t cost or obligate you to anything, pre-approval gives you a significant advantage when you put an offer on the home you want to purchase because you know exactly how much house you can afford, and you already have the green light from your lending institution. With a pre-approved mortgage, your offer will be viewed far more favorably by a seller – sometimes even if it’s a little lower than another offer that’s contingent on financing. Don’t fail to take this important step. Your biggest dilemma when buying and selling is deciding which to do first. Point number 3 above advises you to sell first. However, there are ways to eliminate this dilemma altogether. 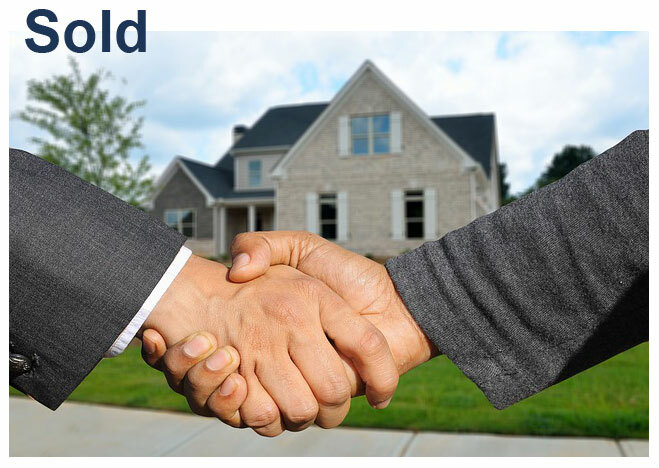 Some agents offer a Guaranteed Sale Trade-Up Program that actually takes the problem away from you entirely by guaranteeing the sale of your present home before you take possession of your next one. If you find a home you wish to purchase and have not sold your current home yet, they will buy your home from you themselves so you can make your move free of stress and worry. When you’re buying or selling a home, there are many important legal issues of which you should be aware. Residential real estate is a complicated process. When such a major investment is transferred from one party to another there are many details to take care of. It is always wise to seek legal counsel in such matters and to consider retaining a lawyer who specializes in real estate law to properly protect you in the home buying/selling process. To help area homeowners like yourself to be as prepared as possible we can provide you with a list of area real estate lawyers that we have obtained through the <<________name of Law Association>>. Although we do not endorse any names included on this list, to make your move easier when the time comes you can have this comprehensive list of area real estate lawyers right at your finger tips. Of course, your name will never be released to anyone. Our objective is to simply make the moving process easier for you. While you may still be several weeks away from selling your home, there are several small details you can take care of now that will free you up for the very busy time you have ahead of you. One of these is the time-consuming task of contacting all the utility services you use (e.g. telephone, gas, cable, hydro, etc.). To help you SAVE TIME, we’ve compiled an extensive list of anyone and everyone you might need to contact regarding your utilities once you sell. Why not call to get a copy of this free list so you can file it away for when you need it. For most people, a home is more than just a financial commodity. It is, instead, an emotionally-charged haven – the place you retreat to, a place filled with your belongings, your creative energies, and your memories. It is, therefore, very difficult to be objective about this process and to look at your home in the same way a prospective buyer looks at it. Because your home is so important to you, when you decide to sell, you want to be sure that you get as much as you can for it. While emotions play a huge role in this process, there’s certainly a significant financial motivation involved. So speaking practically, it’s very important that you set emotions aside for a moment and learn how to dress your home for success to ensure you’re fairly compensated for it’s sale. Taking a look at what apartment complexes in your neighborhood have sold for is a great way to educate yourself on the marketplace. Knowing what a nearby apartment complex sold for can help you determine what your apartment might sell for if you decided to put it on the market. We can give you this head start by giving you privileged access to a Free Computerized Printout of Recent Sales and Current Listings in Any Area mailed to you at NO Cost or Obligation. We send you regular updates of this information for any area you specify as often as you wish. It is our experience that regular updates are most helpful for those who are planning to maximize their Return on Investment (ROI). There are literally thousands of real estate agents in Western New York who would love to represent you when you sell. As in any profession, there’s some degree of variance between the professionals who compete for your business. In plain and simple terms, not all real estate agents are the same. So, if you decide to seek the help of an agent when selling or buying your home, you need some good information before you make any moves. Picking the right agent is one of those critical issues that can cost or save you thousands of dollars. I sincerely believe that we offer our clients more and better services which ends up netting them more money in less time when they sell. I also know, however, that as an intelligent homeowner, you will want to do some research prior to making this important decision. There are many small details you have to take care of when you’re planning to make a move. As a result, much time and anxiety is spent inventing your “To Do” list to ensure your move comes off without a hitch. We’ve helped hundreds of homeowners with the sale of their home, so we have lots of experience with this process. We’d like to share some helpful tips with you in the form of the attached Moving Checklist that itemizes the recommended steps to take (and when you should be taking them). Why not put it up on your fridge to help keep you focused and organized. Knowing the current up-to- date market value of your home is vital information if you’re thinking about selling your home. But how do you get a reliable evaluation if you’re not quite ready to list your home with a real estate agent? Simply answer a few questions about the style, lot size and amenities of your home and I’ll be able to give you a Free Home Evaluation of Your Property. We keep scrupulous track in our sophisticated computerized database of every single transaction in the area and thus we can access facts relevant to your situation within minutes. I’ll give you a verbal accounting of what comparable homes have sold for in your neighborhood, which homes are currently listed and how long they’ve been for sale and their prices. With this information, I’ll be able to determine what your home is worth. This confidential market analysis is absolutely-free of charge and obligates you to nothing. If the sellers want to net $200,000 while the broker is to be paid 7% commission, for how much will the home have to sell for? Assume a lot sells for $35,000 an acre. You want to purchase a lot for sale that is measured at 116 x 225. For how much can the owner sell the lot?